Start here if you have questions. Some of the FAQ’s will lead you to articles for more in-depth information. Call us anytime with questions! Deploy a Beautiful Digital Sign with Chromebit! No annual license needed – this EXCERPT hints at the 5-minute process. Our trade secrets are revealed in the full length 9-minute video, found in your LobbyPOP Pro Portal. All free, of course! Can I see live examples? What do I need to know before selecting my screen? HD in its native form calls for significant storage and network bandwidth. And your display screen must be set for proper resolution to benefit from this high-quality media. So how does this play into the discussion of digital signage content and hardware? Simple: Never, ever use a consumer screen in any location outside of a home environment. For one thing, you, the seller, will be liable when it fails, and the warranty is VOID or reduced to 90 days once that consumer screen was set up in a commercial environment! You must use a properly rated commercial screen! When it comes to Color, Contrast, and Brightness, you should aim high – as in high contrast, high resolution, and great color rendering. What does this mean for your screens? The most famous name brands in commercial displays, also called professional displays, include LG and Samsung, and these offer excellent quality for dynamic sign displays. Now that we have settled on that, here’s the basic information you need: Do you need a screen with IPS (In Plane Switching) to accommodate Portrait mode? Do you need speakers? (A building directory, for example, rarely needs speakers built in.) What size screen? Will the screen need to be certified for 16/7, 18/7 or 24/7 operation? Generally, the warranty is three years for commercial displays. 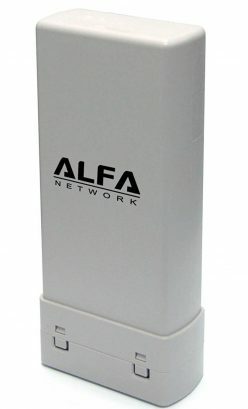 Do you need an external enclosure? Do you want a kiosk? 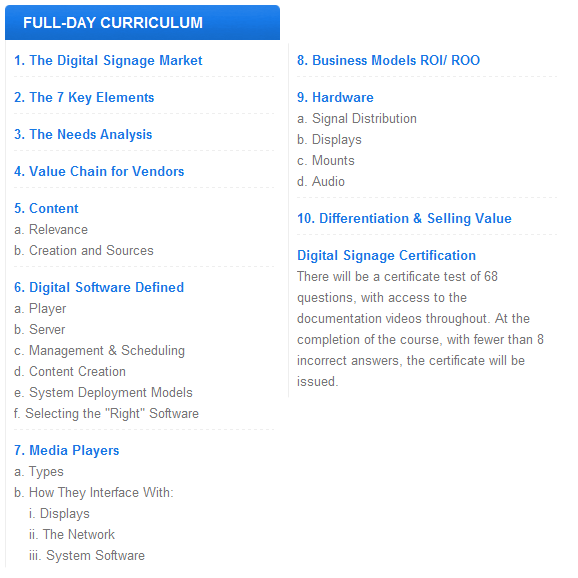 By using the proper Needs Analysis (two are included in the guide, Making the Move to Dynamic Signage, available at the School of Sign Arts website), you can verify and validate all those answers and more, such as who is managing the content, and what is the true purpose of the display. If you have any questions, just give us a call for some insights! How does digital signage content delivery work? The most basic concept of digital signage editing has to do with the development of playlists. A playlist is compiled using any media files that the editing software (the “editor”) can support. These files can be played sequentially, or they may overlap in whole or in part by being played simultaneously in zones or layers. The more types of media files an editor is capable of working with, the greater degree of creative flexibility. This is not limited to video formats such as MP4 and AVI; for digital signage editors, media files or clips include animations, graphics, text, graphic fonts (CG), scrolls, rolls, crawls, and audio and data sources such as XML and HTML. One of the most powerful aspects of digital signage is the ability to set up parameters that specify how content will be aggregated, managed and then deployed. For instance, many networks split their screens into a variety of “zones” — the top right for current weather, for instance, the right-hand side for news headlines, perhaps a stock ticker crawling across the bottom. To understand how to handle all these media assets, it is helpful to first understand the software tool that will bring them together: the editor. Learn about the two main “families” of digital content management, and how LobbyCaster brings them together, in this informative article. What is the process to integrate voice-over narration into our project? Professional voice over talent comes in every flavor, with both male and female artists providing quality narration skills. You can select from our artists, or develop your own voiceover. If you choose to create your own, please be sure to read the FAQ on Audio, recording and mics! Caveat: Unless you have a background in copy writing, voice talent, music licensing and audio production, your clients will likely be able to tell the audio was not professionally produced. Not sounding professional negates one major benefit to dynamic signage production: image enhancement. To understand what to expect in terms of process, results and costs, read this article. If I record my own audio, what are the specs? The goal of mastering is to make the music and voiceover sound good on a variety of systems and delivery media and to unify the program from beginning to end through careful quality control. Mastering a project from one studio and one set of playslist segments is straightforward because the masters will be on one format and the sound will be consistent from one piece to the next. Assembling compilations, using our templates, your music selections, and voice-over, on the other hand, makes interesting demands on the mastering engineer. If you MUST create your own specific audio or music for your content, it will ONLY be accepted as follows: First Choice: 16-bit, 48Khz audio files in .WAV format. Second Choice: MP3 audio 128 Kbps, 48Khz minimum. To learn more and be better equipped to create great audio, read this post here. How do I order products and services? We offer these products only to sign trade professionals who have become LobbyPOP Pros or Digital Signage Experts certified by the Digital Signage Experts Group. A terrific, low-cost program that gives you eight hours of quality education is available through School of Sign Arts – the complete DSCE course, with bonus guide, all on-demand, only $195. Stop and start as needed, and answer the questions of the course content as you go. When completed, and with fewer than eight wrong answers, you are granted the valuable certification, and can display the DSCE credentials. Then, after you are certified, or if you are authorized as a LobbyPOP Pro, the process to order content is easy! Here at LobbyPOP.com, you simply apply, upload your certificate or credentials as noted on the request form, and generally within 24 hours or less, you will be granted trade privileges and a login created to give you the ability to purchase hardware, video content, layout templates and more. Your LobbyCaster software application can be downloaded after you are approved. To become a DSCE professional, see extensive detail in this article or view the curriculum below. What video resolution should I order/submit? Since most content will be produced in widescreen video format, any still image or video footage you submit for use in your custom-designed template will need to fit the screen in proper aspect ratio, color mode, and file format. Below are some guidelines to assist you in preparing your files before submitting them. If you are unable to perform the necessary formatting of your images and/or video, we can provide that service for you for a small fee. “Ready to Air” movie chapters are available as 720×480 widescreen (for adding to LobbyCaster layout video zone) and include music option, watermarked logo, and voiceover content. We recommend a “movie” of 10 – 15 minutes, featuring 3-4 “segments” made up of 3-5 movie chapters. See shop for details. These videos are available as full HD 1920×1080 (1080p), and HD 1280×720 (720p). 1080p and 720p are better for full-screen video on LobbyCaster layouts where you intend to play the video full-screen. Completely Custom videos are available as full HD 1920×1080 (1080p). these include custom graphics, true video content, client logo watermarked throughout, music and voiceover as desired.